Minneapolis folk/black metal duo, OAK PANTHEON, are back with their second full length and it’s a stunner. Like their sonic cousins in AGALLOCH, OAK PANTHEON excels at creating melancholic soundscapes that conjure images of America’s frozen northern territories. Clocking in at just over an hour, From A Whisper is a beast of an album. But OAK PANTHEON reward listeners for the time investment. The tracks flow seamlessly together and there’s not a single weak song on the album. The opening track “Descend Into Winter” and “Aspen” are both solid folk/black rockers that grab you from the beginning and don’t let go. But longer tracks like “We Will Tear Down the Gods” and the title track really showcase this group’s talent for genre melding. Folky acoustic guitars and breathy singing flow into blast beats and raspy shrieking and then back again. 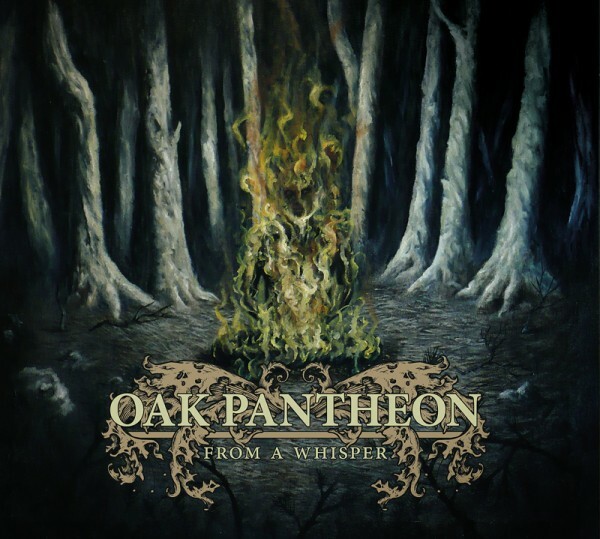 It’s not often that a black metal album manages to be simultaneously beautiful, vicious, melancholy, and soaring, but OAK PANTHEON have done it. From A Whisper is out soon on Broken Limbs Recordings. Get it or be lame.